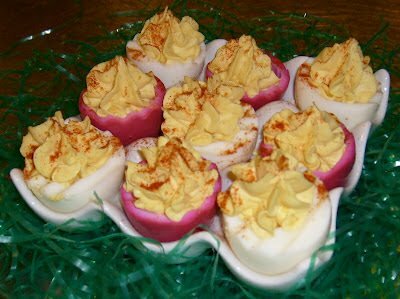 Philly food blogger Lynn Plagman gives readers a blast from the past with these edible "Easter eggs." 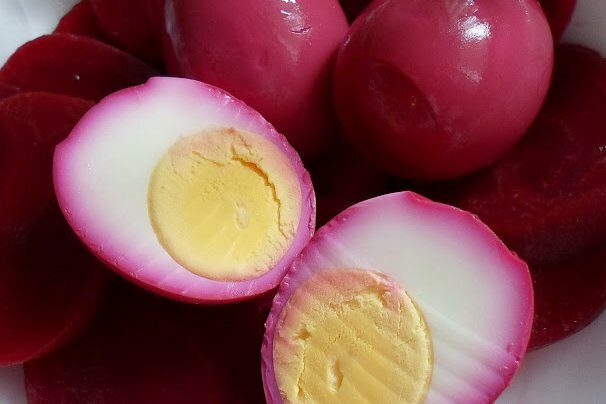 On her blog, Plagman shares her recipe for Amish Pickled Red Beet Eggs (pictured above), a dazzling and delicious dish that will look beautiful on your Easter table and taste good, too. "The color is beautiful, the flavor pronounced and they can be enjoyed as is, diced in potato salad, they're pretty as deviled eggs and make a great egg salad sandwich," she writes. 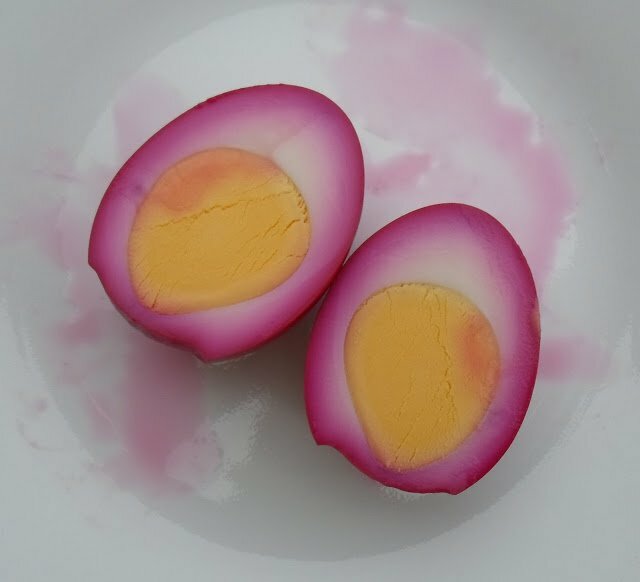 Fellow Philly food blogger Marisa McClellan, who blogs at Food In Jars and is a contributor for Serious Eats, also has a recipe for Pickled Red Beet Eggs, which, she adds, are a Pennsylvania Dutch delicacy. Pickling firms the whites of the hard-boiled eggs and transforms them into something tangy and substantial, she says. McClellan also offers a few tips to help you get started and advice on storing the finished product, though she has yet to find a method for hiding them from a hungry husband.